BURBANK, Calif.--(BUSINESS WIRE)--Nickelodeon announced today that it has greenlit a 14-episode second season of its new animated series, The Loud House, rising to the top as the number-one animated kids’ show on TV since its May 2 launch. The Loud House follows Lincoln Loud and his 10 sisters for an inside look at what it takes to survive the chaos of growing up in a huge family. Season two will continue to take inspiration from creator and executive producer Chris Savino’s life growing up in a family of 10 kids. The series airs weekdays at 5p.m. (ET/PT) on Nickelodeon. The Loud House series is currently the number-one kids’ animated show on TV, posting high double-digit gains over last year. Launch to date (5/2/16-5/20/16), the series is averaging a 3.3/981K among Kids 2-11 (up +57% over last year); 3.2/565K with Kids 6-11 (+68%); and delivering almost 2 million total viewers (1.8MM; +41%). “The fun, chaotic world of The Loud House is connecting with our audience, and we are very happy to bring even more stories about Lincoln and his family to them,” said James Stephenson, SVP, Animation and Games, Nickelodeon. 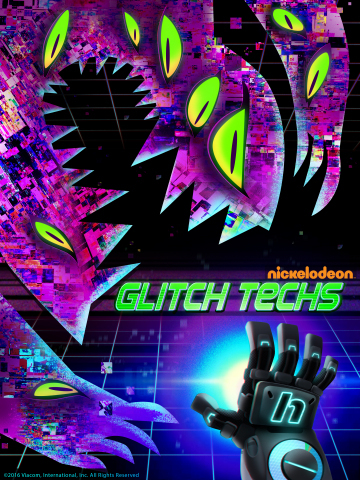 “Nickelodeon is also thrilled to add the action-comedy Glitch Techs to our pipeline of original content. The series comes from a stellar creative team, who has given us great characters, an exciting world and a truly innovative take on connecting games with storytelling through a show we think kids will love." In season two of The Loud House, Lincoln remains the man with the plan, navigating his way through the chaos of living in a family with 11 kids. The heart and comedy-filled adventures defining The Loud House will continue through a deeper dive into the unique personalities of Lincoln’s sisters, as well as a spooky themed episode, a half-hour holiday special and more. 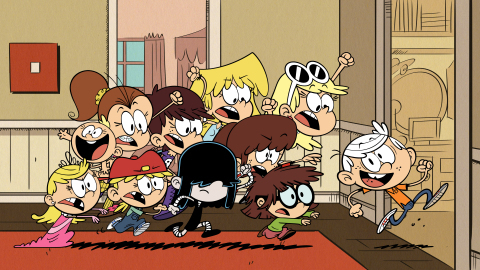 The Loud House voice cast includes: Grant Palmer as Lincoln Loud; Caleel Harris as Clyde McBride; Catherine Taber as Lori; Liliana Mumy as Leni; Nika Futterman as Luna; Cristina Pucelli as Luan; Jessica DiCicco as Lynn and Lucy; Grey Griffin as Lola, Lana and Lily; and Lara Jill Miller as Lisa. The Loud House is based on an animated short of the same name from Nickelodeon’s annual Animated Shorts Program. It is the first series to be greenlit out of the global program which is designed to mine and cultivate a new generation of creative talent. Created and executive produced by Chris Savino (Rocko’s Modern Life, The Powerpuff Girls), the series is produced at the Nickelodeon Animation Studio in Burbank, Calif. The new series debuted Monday, May 2, at 5:00 p.m. (ET/PT) on Nickelodeon. Nickelodeon, now in its 37th year, is the number-one entertainment brand for kids. It has built a diverse, global business by putting kids first in everything it does. The company includes television programming and production in the United States and around the world, plus consumer products, online, recreation, books and feature films. Nickelodeon’s U.S. television network is seen in more than 90 million households and has been the number-one-rated basic cable network for 20 consecutive years. For more information or artwork, visit http://www.nickpress.com. Nickelodeon and all related titles, characters and logos are trademarks of Viacom Inc. (NASDAQ:VIA, VIAB).